OnePlus has a well-documented release strategy for its devices: launch a few colors, and then release flashier designs throughout the device’s six-month lifespan. 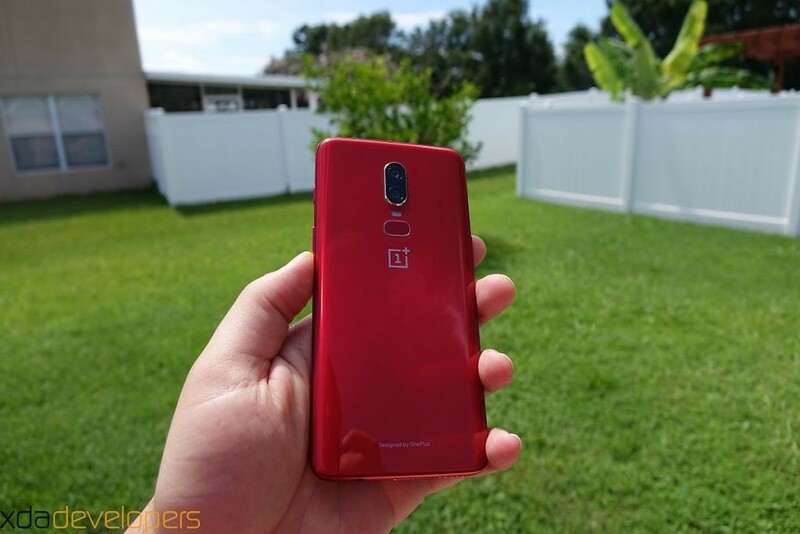 Last year’s OnePlus 5T is a tough act to follow, not just because of its specs, but because it introduced the blindingly bright Lava Red and the nostalgia-inducing Sandstone White. 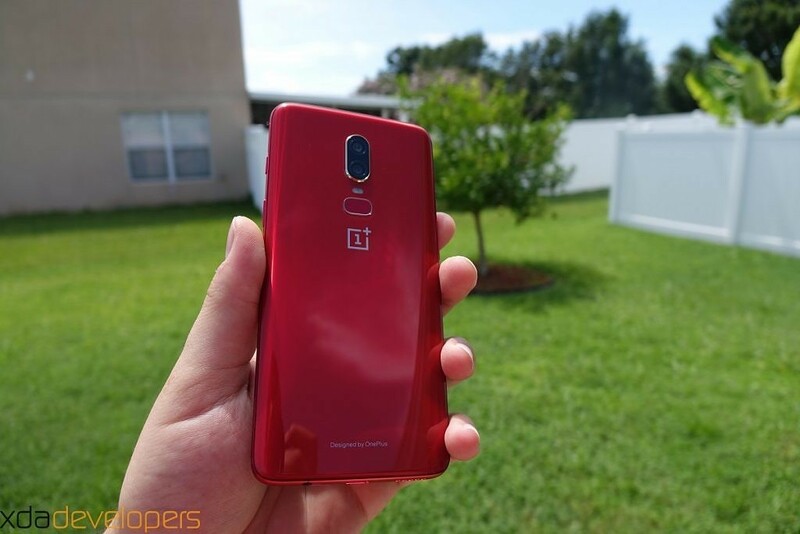 Just a month after the release of the OnePlus 6, the company unveiled their first limited edition color variant with the OnePlus 6 Silk White, and this week they finally announced the OnePlus 6 Red version of their latest flagship. In this video, we’re taking a look at the latest OnePlus 6 Red with a quick hands-on that’ll walk you through everything that has changed in its design, and how it compares to previous color releases. If you don’t have time for the video, read on for a short text summary. 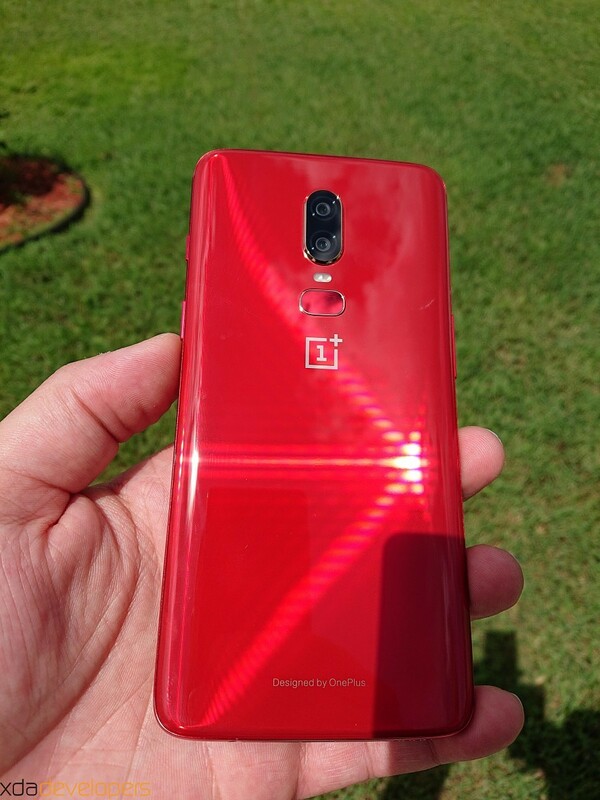 The almost blood-red body of the OnePlus 6 Red has a frame that doesn’t feel like it is coated with a glossy or matte finish. It pops around the front of the all-black, near-bezelless display giving it a hot rod aesthetic with its subtle chamfer. The buttons and SIM tray are all the same color, and even the radio antenna trim filler blends in well. 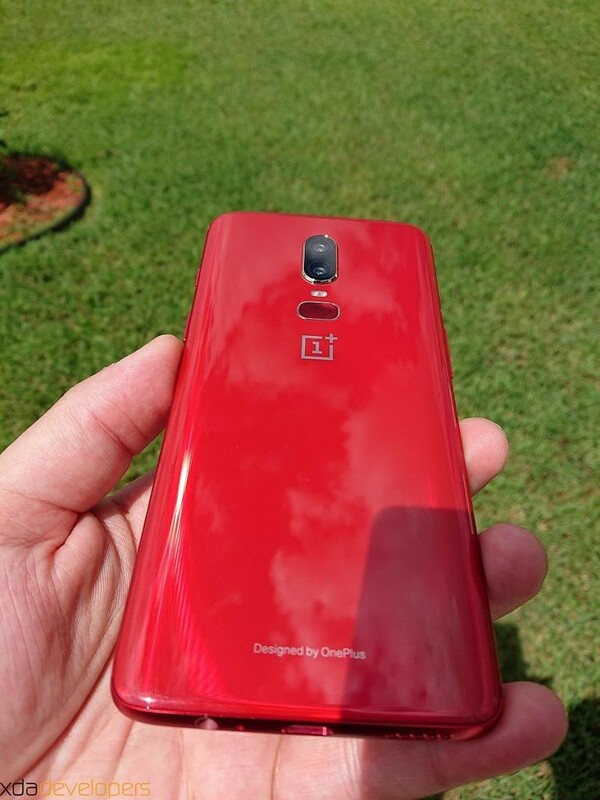 Around back is one of the most beautiful red devices I have personally seen. It has a unique six panel glass layering setup giving it glint and a surreal sense of depth that’s best appreciated in motion (as shown in the video). 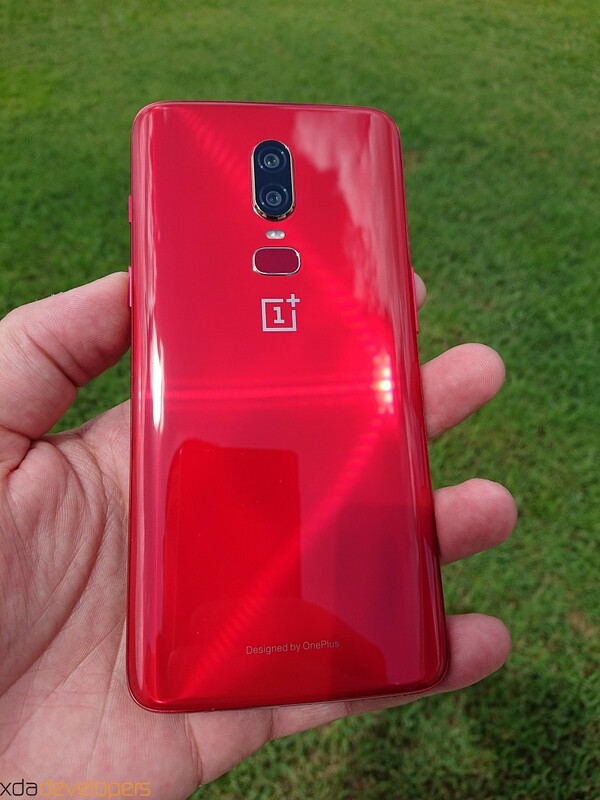 Unlike the HTC U12 or U11, this hue of red is not “strawberry red”, and it isn’t “glossy flat red” like offered with the iPhone 8 either. It is a “proper red”, with a slight orange hue that was added to the base layer. You’d be hard pressed to see it except on certain angles, but it’s there and it is most noticeable when looking at the trim piece that almost reflects orangey gold, giving it an Iron Man-like feel. 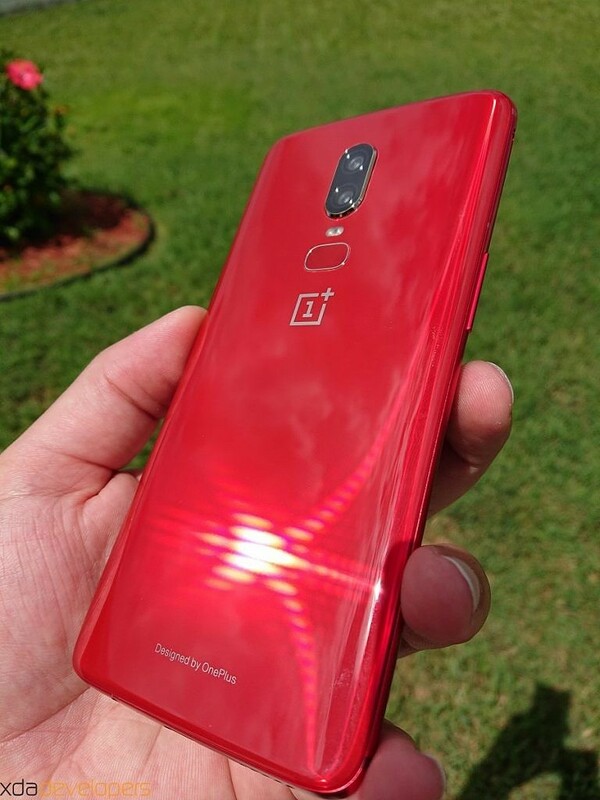 But those trim pieces, like the OnePlus logo, are sadly silver toned instead of black like I had hoped, and the fingerprint sensor is always reflecting the wrong color, dark when the body is light and light when the body is dark. Those are the only two things I think I would change about this phone though, because otherwise it is otherworldly in appearance. After using both the white and red models for a while now, this is the color I would go with ten out of ten times. Its stunning, quite bold, and offers surprising depth. 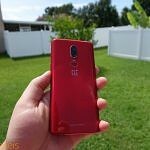 The OnePlus 6 in Red will go on sale on July 10th for a price of $579/€569/£519, and it only comes in one variant with 8GB of RAM and 128GB of storage. 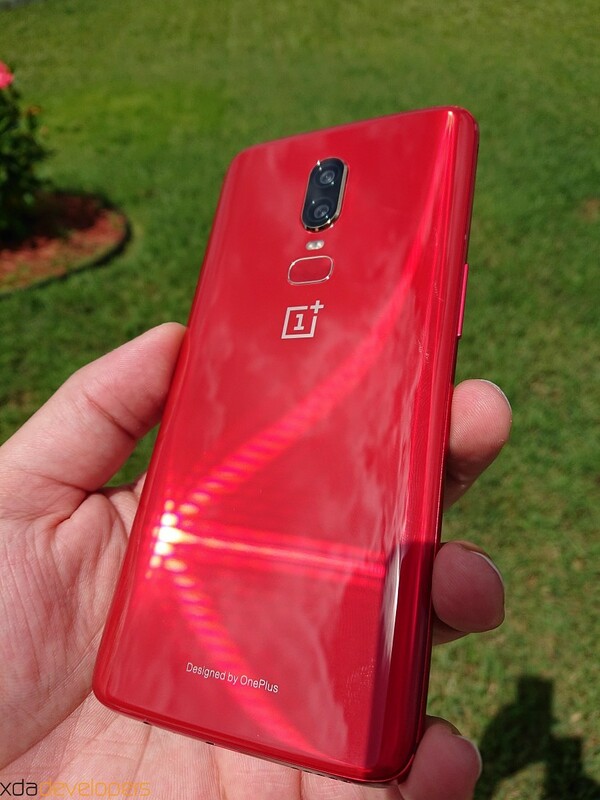 This is a limited edition device so if you are considering one, be sure to head over to the OnePlus website once it goes on sale. Stay tuned to the XDA Portal for more OnePlus 6 coverage!